Presenter, Interviewer and General Assistant for Ironfest 2019. We are looking for Tasmania's next batch of great Quiz Masters to be the face of Australia's greatest Quiz Nights!!! With more great venues joining the QuizzaMe craze we are looking for people in Hobart, Launceston, Devonport and Burnie. QuizzaMe is like nothing you've seen before in trivia. It's not just a trivia night but a Live Game Show hosted in your local hotel/pub/bar. Our Quiz Masters are fun loving, confident and just that little bit crazy. One thing's for sure....They all have a blast when you put a microphone in front of them. 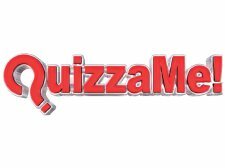 QuizzaMe is hosted every week in a number of licenced venues around Tasmania. We are looking for Quiz Masters to take on 1-2 of these venues initially with the opportunity for more in the future. We pay a generous nightly rate with full training and support provided and you will be joining a great team. Drivers licence and reliable transport is a requirement for this role. If you think you have what it takes to WOW a crowd and you like being the centre of attention, please apply. Just give us a short paragraph about yourself and a contact phone number. Once we find our next star we will get things happening straight away, so don't delay. Female Models Wanted for Outdoor TFP Shoots, Chance to Build your Profile.